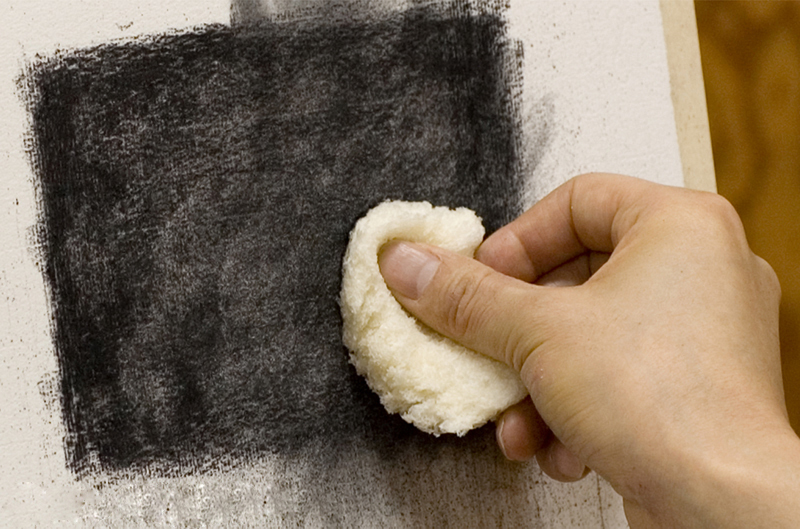 Bread and gauze are often used for correcting and changing charcoal drawings. 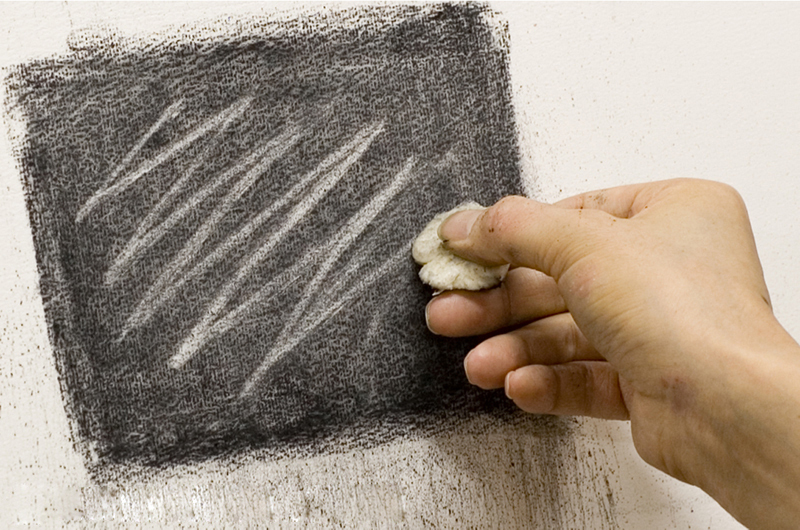 When used on paper, charcoal produces grainy lines due to friction. 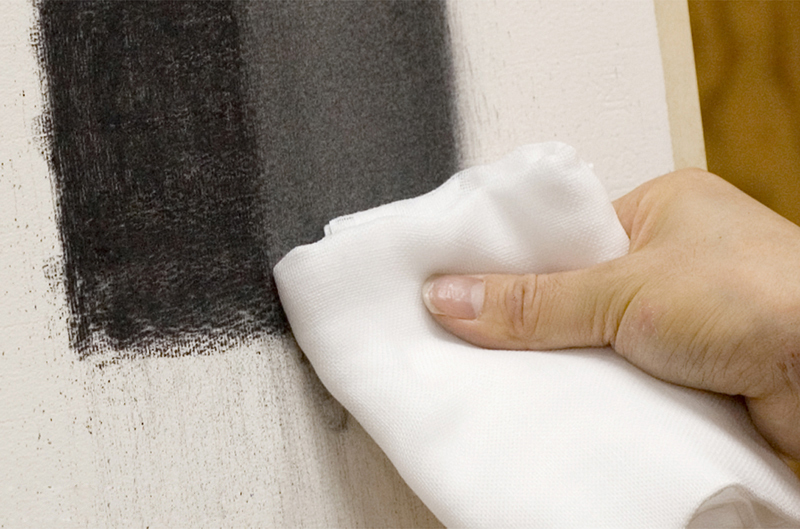 Because charcoal does not contain any ingredients to fix the color to the surface, the lines can be removed easily. 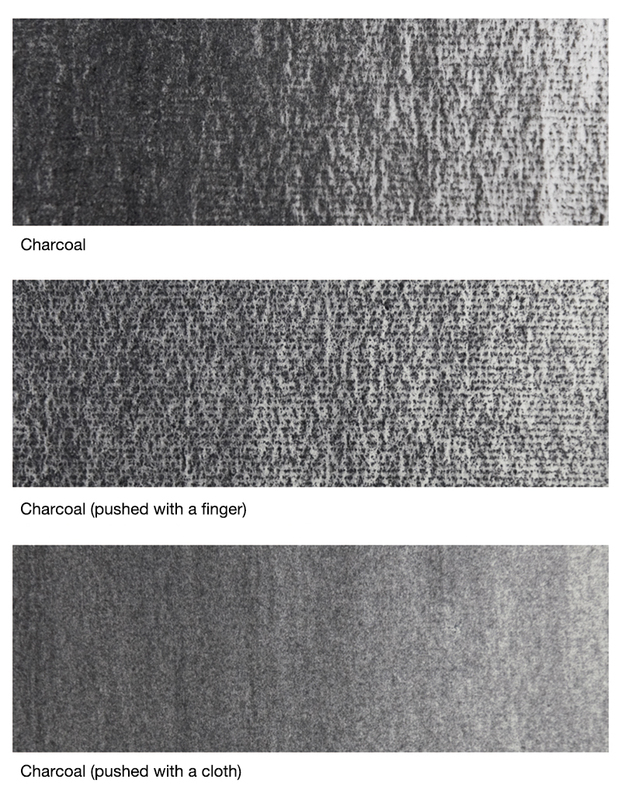 Due to this weak adhesive property, cloth and bread can be used to correct lines and make fine adjustments to the amount of charcoal applied, enabling delicate expressions. These erasing tools have the advantage of causing the least amount of damage to the charcoal paper on which the work is drawn. The most suitable type of bread is ordinary bread that does not contain much butter or oil. Bread containing oil should be avoided as it could leave stains on the paper. 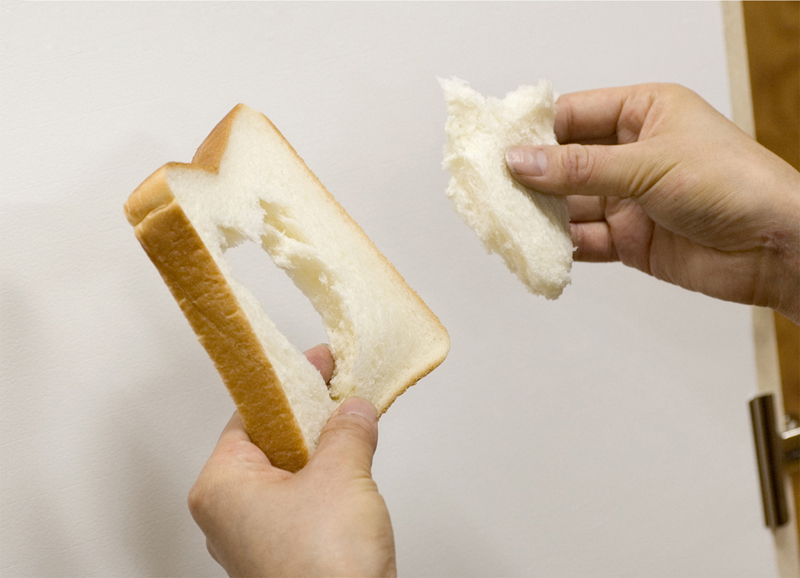 A suitable amount should be taken from the soft white parts of the bread, not the crust. Knead the bread softly, shape it into any shape you want, flat or pointed, and use it to change details and remove charcoal to add highlights, etc. You can also press the bread against the drawing without kneading it or rub it gently over the drawing to produce subtle changes in tones. With a little ingenuity, various expressions can be created. The reason behind the general view that bread is better suited for charcoal drawings than kneaded erasers is due to its softness. When bread is used to erase a charcoal line, it catches the charcoal particles, forms crumbs and falls, without ruining the texture of the charcoal paper. 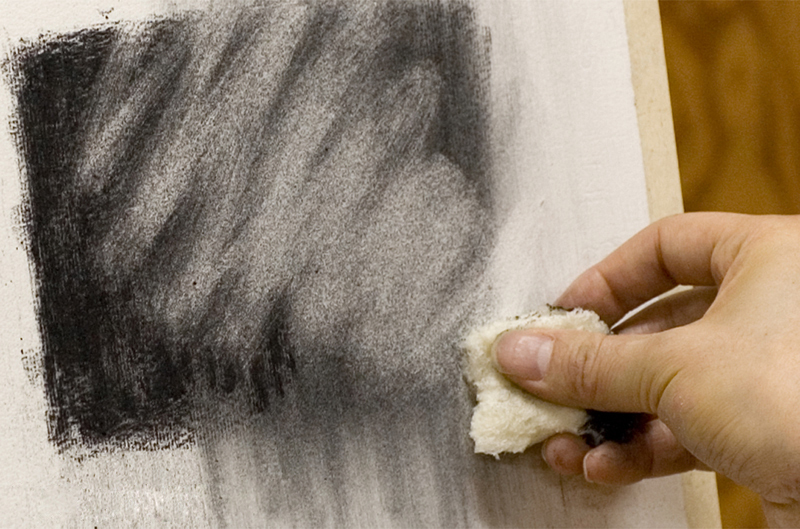 Cloth made of soft fabric such as gauze and cotton is also used when drawing in charcoal. By pressing down and gently rubbing on the drawing with a cloth, you can even out and adjust the tone, or create blurred effects. Similarly, variations in shades can be achieved by dusting. Cloth can create faint and smooth expressions that cannot be produced using bread or the finger. In addition to these, there is also a charcoal drawing tool called tortillon which is basically a piece of paper rolled up into the shape of a pencil used to adjust detailed tones and shades. When using any of these tools, care must be exercised to apply the appropriate amount of pressure so as not to damage the charcoal paper. Also, since bread dries out easily, pieces that are not being used should be kept in a plastic bag, etc. Furthermore, take care not to let charcoal residue on a used cloth soil the drawing. 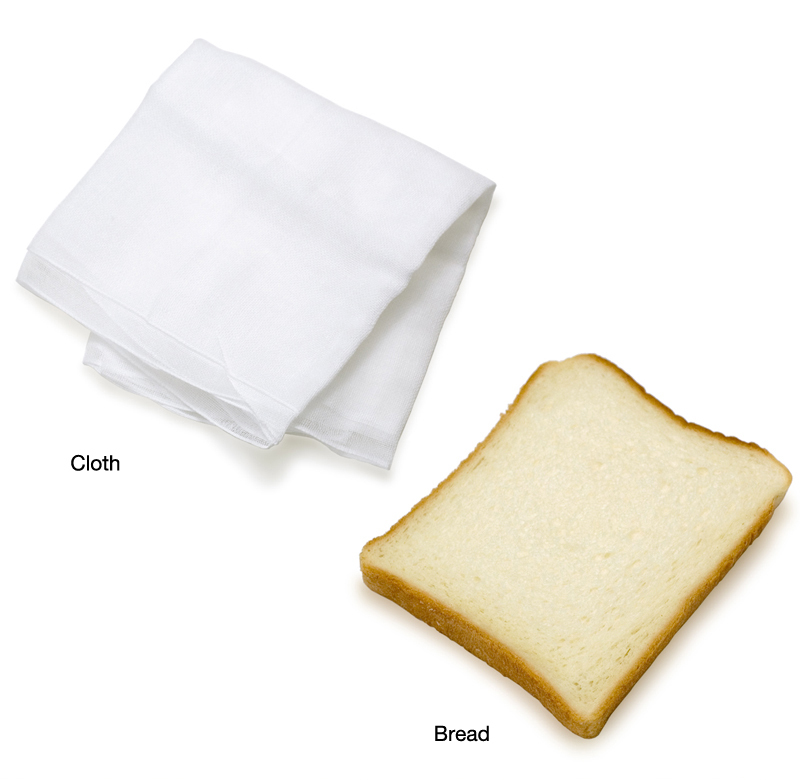 Cloth and tortillons can be purchased at art supply and stationery stores, and bread at grocery stores, etc.